While routing the cursor snaps on the polar grid coordinates as well. Some smart features offer the possibility to use arcs for smooth routing pattern. 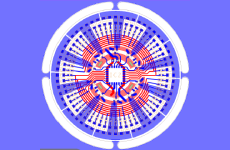 This FloWare App is available for OrCAD and Allegro PCB Editor from Cadence. 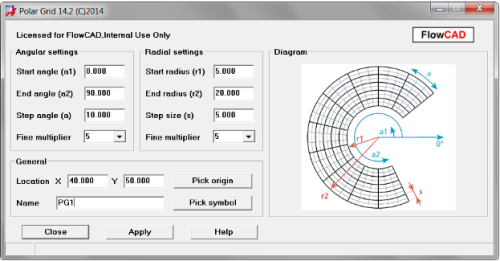 You can specify the start and end angleas well as a step size for radius and angle. there are two grids, coarse and fine for better navigation. The grid can be placed by cursor and coordinates. Parameters can be modified later if needed.